Let the Thanksgiving Sales begin! I think this is one of our biggest sales ever! $1 shipping in the United States! 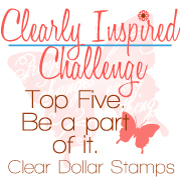 Go to Stamps items here! Go to Retiring and Clearance Items here! It is certainly time to stock up on Christmas presents and the stamps you have been wanting for your collection! Hurry over now to make sure you get your favorite stamps BEFORE THEY ARE ALL SOLD OUT! You will enter the code after the credit card screen in Google Checkout.